Last year proved to be a really remarkable year. 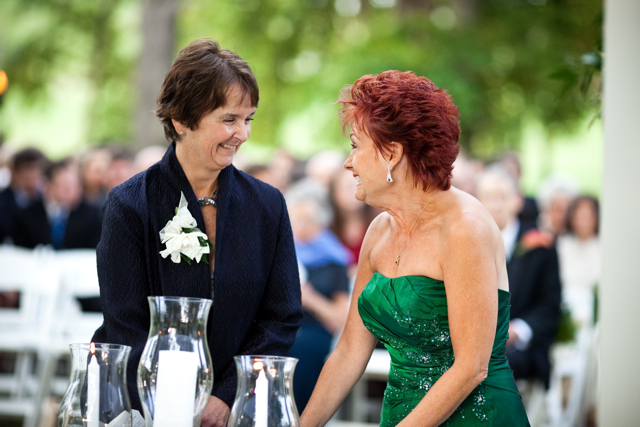 I had wonderful brides, and I also worked with some extraordinary vendors. One of my favorite things was meeting new leaders in the industry. 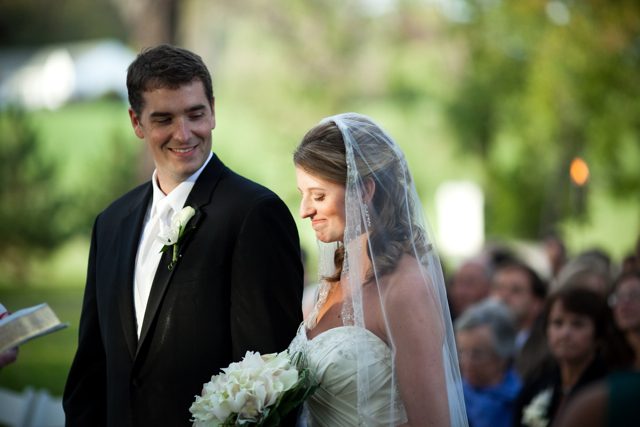 Last year I had the pleasure of working with Paul Morse on two weddings. Paul Morse was the White House Deputy Director of Photography for 6 years. 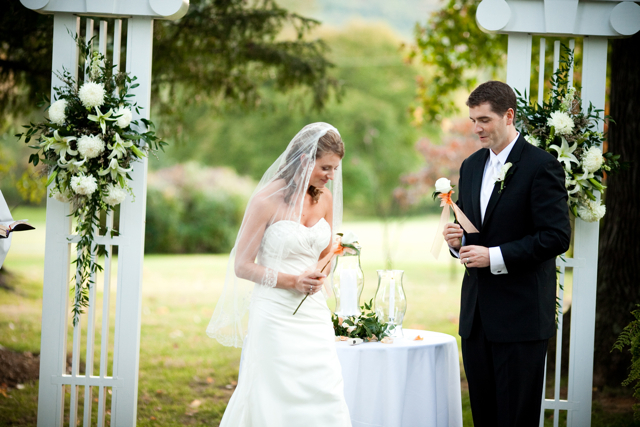 Here are some images from one of our weddings last October. Thank you, Paul, for sharing these with us today. These photographs are such a treat. This time of year I have serious flower withdraw. It is also fun to see how diverse the trends were last year. I would consider this bouquet of all white mini calla lilies and white cymbidium orchids to be more contemporary or sleek and clean in design. We were constantly switching styles last year from sleek and clean to organic, earthy or woodsy to very vintage. It is fun for me to see how well we are able to handle each girl's desires. This wedding is simply stunning. 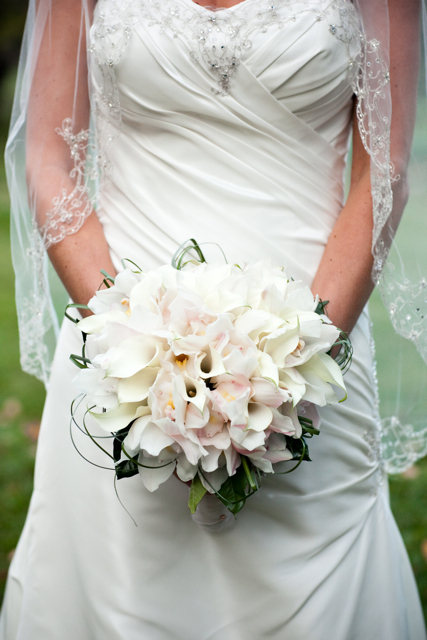 The maids carried the same style of bouquet but with peach callas. 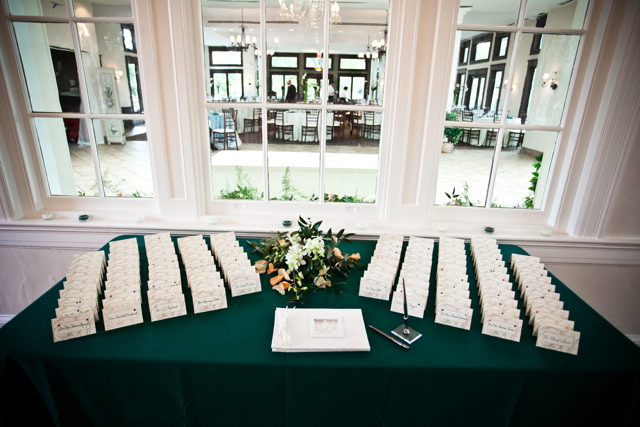 We wrapped the bouquets with bear grass to define the lines. I love seeing the wedding. I always miss the really good part. 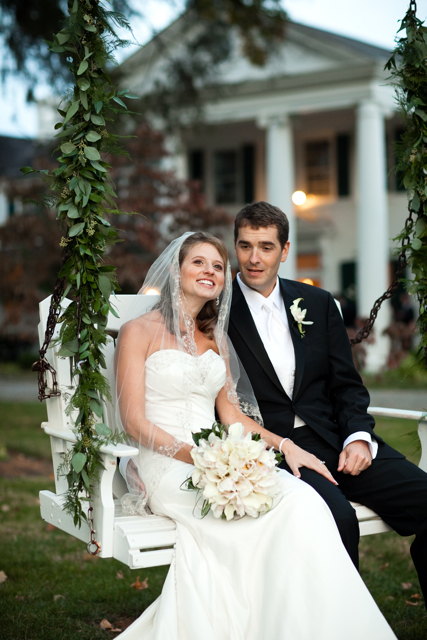 The wedding took place at Whitehall Manor, which is truly one of my favorite places to work. It is a pleasure to be on the property. 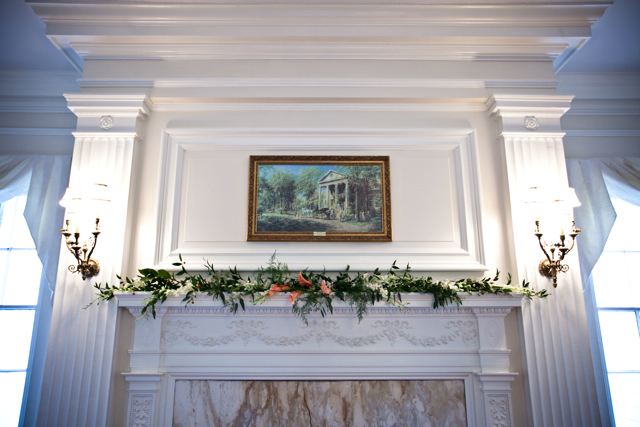 Whitehall is simply perfect for weddings. 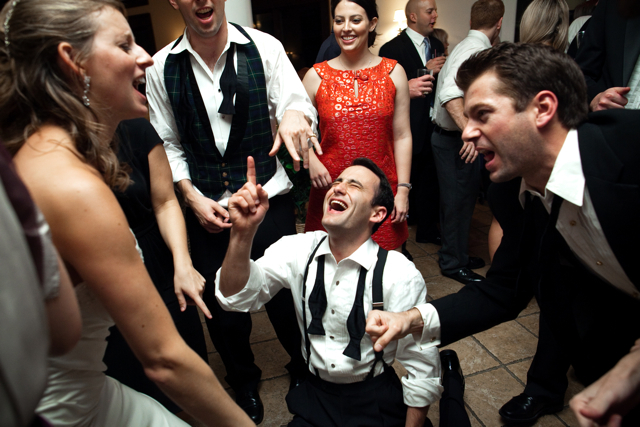 Look at this photograph of my bride and groom. I am in love with this picture. We did two styles of centerpieces. 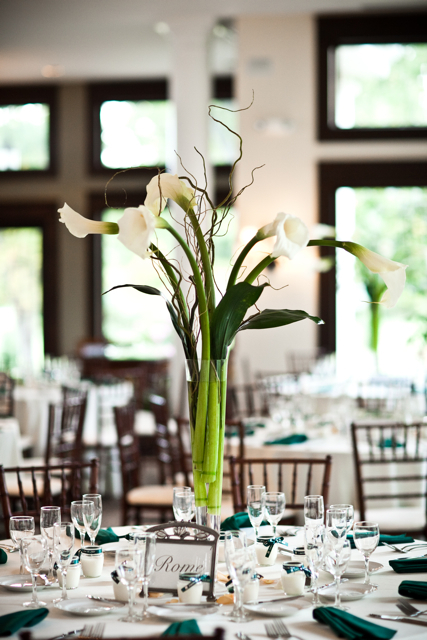 Our elevated centerpieces were large open cut white callas; we wrapped the base of each stem in green wire. I love the way it looks with the napkins. The low centerpieces were bowls of white dendrobium orchids with floating candles. Beautiful day and beautiful evening. I love being a part of a wedding that is truly lovely. Thank you Lauren and Jerry for allowing me to be a part of your day. 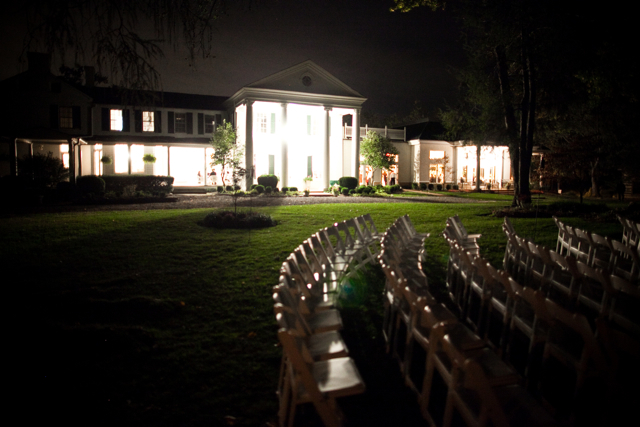 Thank you Paul Morse for capturing the wedding and to Whitehall for always being just so beautiful. 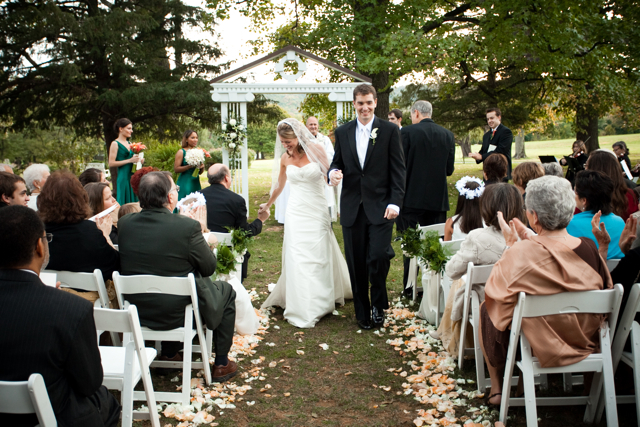 I love it when brides forget their bouquet for the Recessional. It seems so much more romantic – they are so caught up in the moment that they would never think to turn around and grab it back from the MOH. Wow Janice. Your eye is amazing. 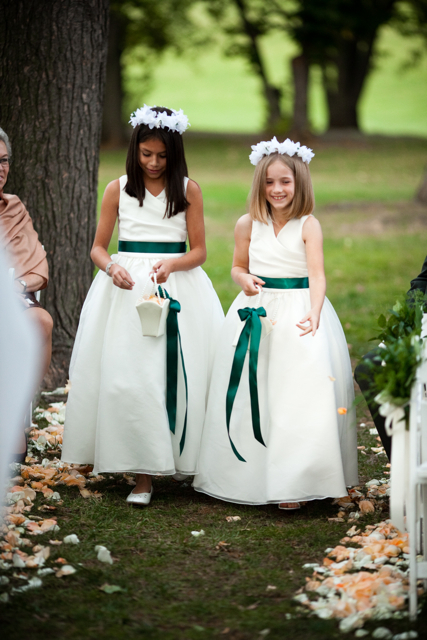 I did not even notice that she forgot her bouquet for the recessional. That must be why you are the wedding cord. and I am the florist. Overall lovely flower arrangements! 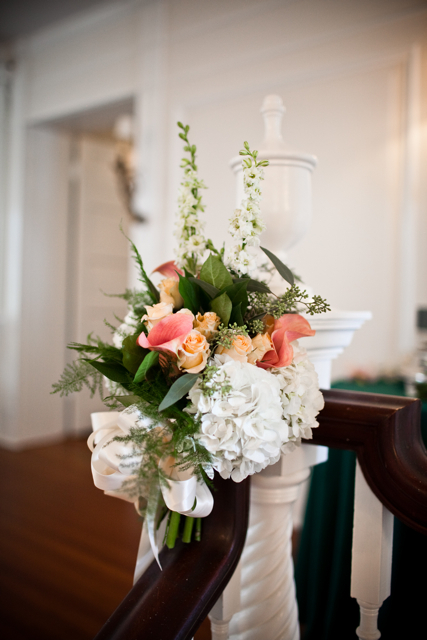 I really like the maids bouquets sooo peachy!